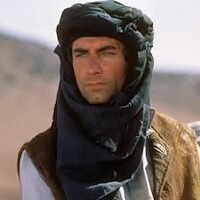 Starred In The Living Daylights (1987) and Licence To Kill (1989). Born in Colwyn Bay, Wales on 21st March 1946. His mother is from New York City. He grew up in Manchester, England with a background in show-biz, as both his grandfathers were vaudevillians. After leaving school, he joined the National Youth Theatre for 3 summers, and studied at the Royal Academy of Dramatic Art for 2 years. He joined the Birmingham Repertory Theatre in 1966, where he played many leading roles. 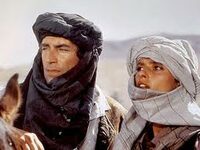 Dalton's big break came in 1968 with his first film The Lion in Winter, starring Peter O'Toole, Katharine Hepburn and Antony Hopkins, in which young Dalton played the King of France. Stepping into another actor's shoes became pattern of his career, as he followed Laurence Olivier as Heathcliff in Wuthering Heights, Orson Welles as Rochester in Jane Eyre, Sean Connery and Roger Moore as James Bond. He has not made a lot of films, dividing his time between the theatre, film and television. His work has run the gamut from Shakespeare to Charlie's Angels. 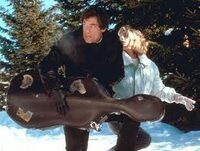 He won the part of 007 in August 1986 when Pierce Brosnan was unable to get out of his television contract at the last minute. Dalton portrayed Bond twice, in The Living Daylights and Licence to Kill . His portrayal of Bond signaled a return to a grittier, more realistic characterization. In April 1994 Dalton officially resigned the role, which then went to Brosnan. In 1994, Dalton took on one more role made classic by another actor, following in the footsteps of Clark Gable as Rhett Butler in the sequel to Gone With The Wind, the TV mini-series Scarlett, which played to mixed reviews. He most recently has been filming made-for-television movies and mini-series.